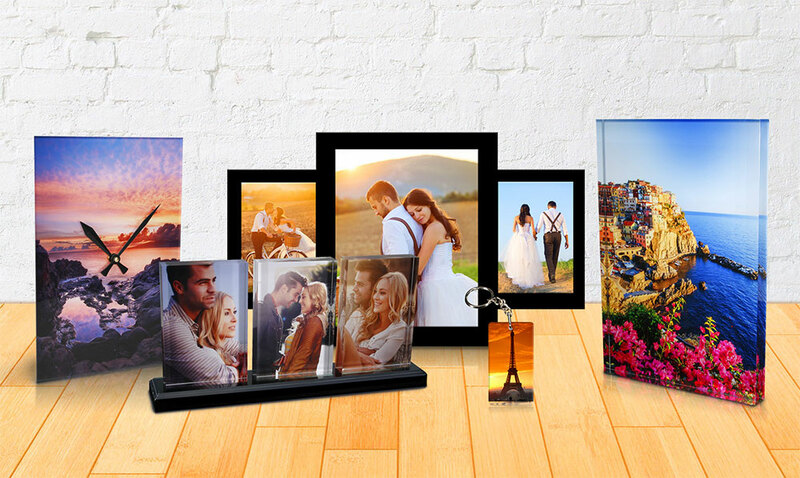 Acrylic photo blocks (sometimes referred to as desktop photos) are a thick piece of acrylic with an image printed on the back of the photo. The process gives fantastic depth to the finished project. And because the images is not exposed to dust or scratches the durability is fantastic! This makes a great gift for someone special or you should check-out our exclusive prints from local Tucson photographers and artists.